The Duchess of Cambridge is wearing a primrose yellow wool silk tailored coat by Alexander McQueen and a hat by Philip Treacy. Shoes by Jimmy Choo. 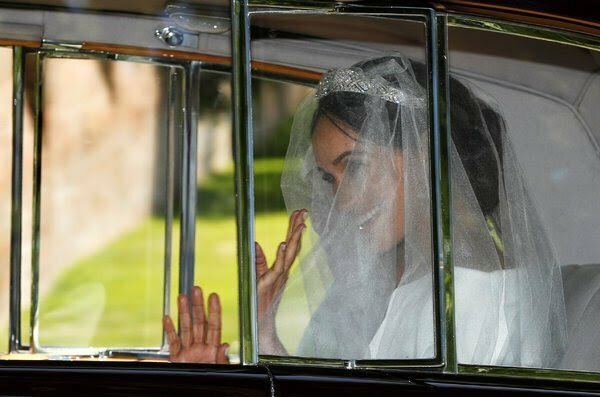 Meghan’s tiara is confirmed as Queen Mary’s diamond bandau, made in 1932. 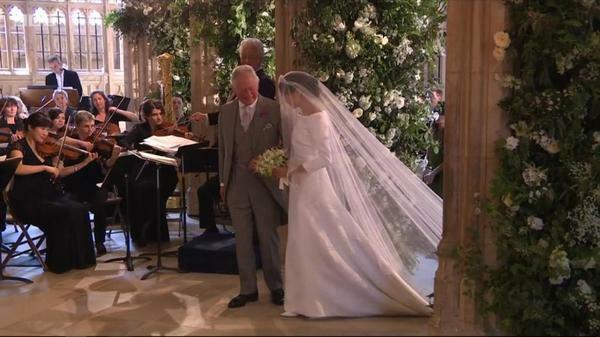 Meghan's bouquet also includes scented sweet peas, lily of the valley, astilbe, jasmine and astrantia, and sprigs of myrtle from stems planted at Osborne House on the Isle of Wight, by Queen Victoria in 1845, and from a plant grown from myrtle used in The Queen’s wedding bouquet. 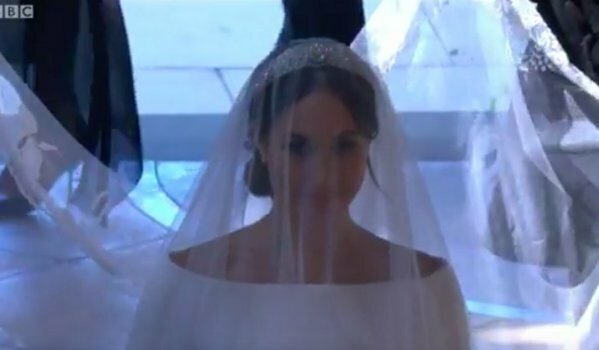 As Prince Charles and Meghan reached the altar, Harry told him: "Thank you Pa." Turning to Meghan he said: "You look amazing." 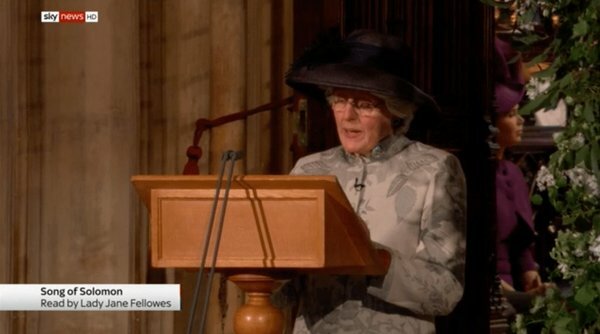 I want the Queen to stand up now and shout "Hallelujah Brother". 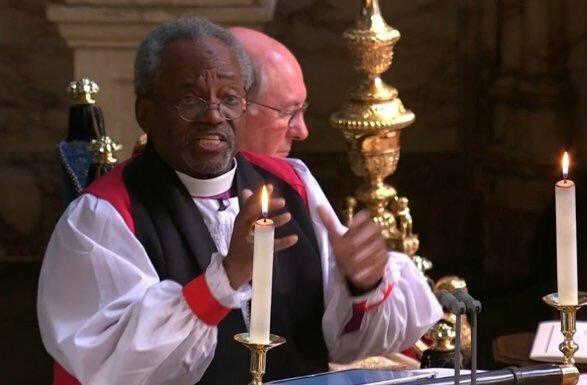 What a cracking sermon! Zara Phillips, eight and a half months pregnant, looked stunned. 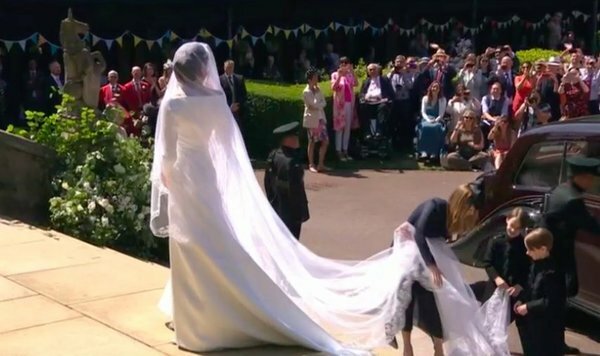 Other members of the Royal Family seemed to enjoy it. 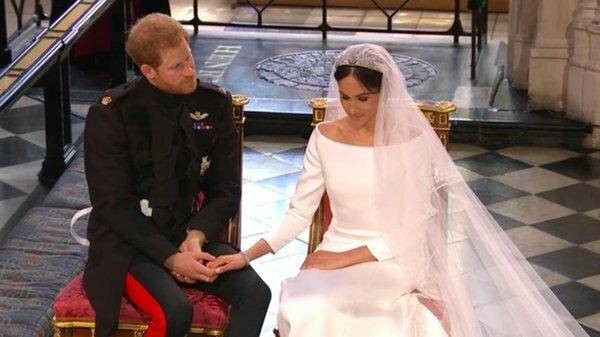 “We gotta get y’all married.” Harry and Meghan laughing. 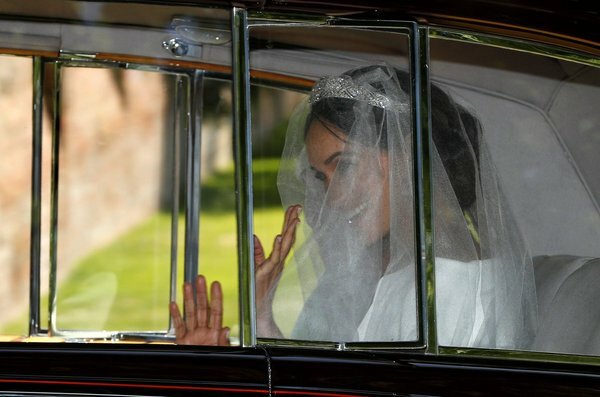 So they’re married and we now have to get used to calling them the Duke and Duchess of Sussex.